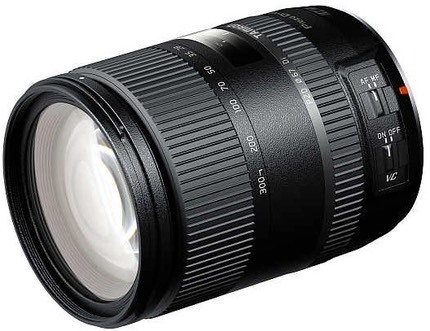 Tamron today announced the 16-300mm f/3.5-6.3 super zoom lens for the Nikon DX mount. The lens will be shown at next week's CP+ show in Japan, though no ship date or price was announced. Details are on the lens' data page, as usual. The big news here is the extension of the super zoom in the DX mount down to the 24mm equivalent focal length (16mm). In essence, this lens gives the DX user the equivalent of a 24-450mm lens. The other news is how compact the lens is. It's shorter than the Nikkor 18-300mm, and significantly lighter, which in theory makes it a better option for the lower-end DSLR bodies.